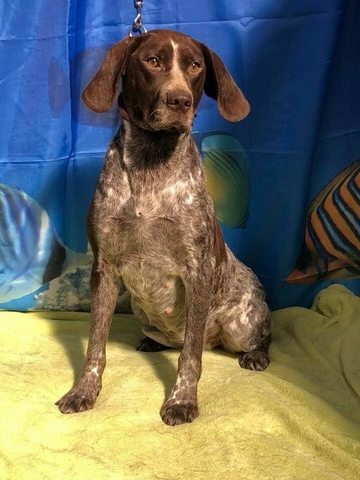 Jazzie is a female German Short-Haired Pointer and is about 1.5 years old. 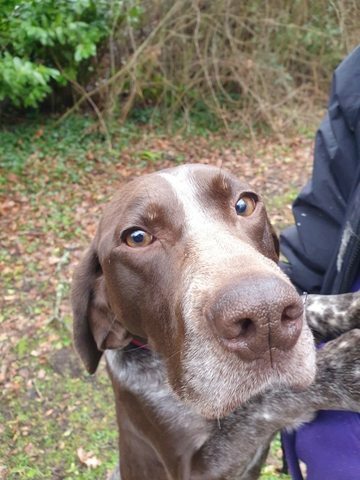 She was homed a few months ago but has had to come back to us as the owner had severe allergies to her. We are looking for a family with older children over 12 in the house. 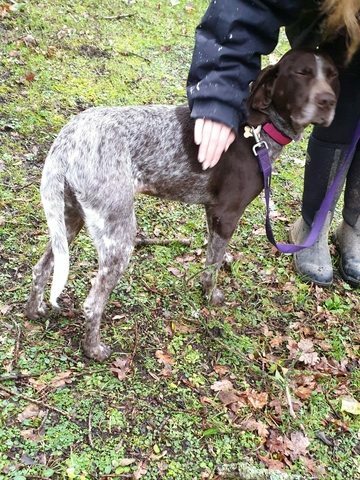 Jazzie is a kind girl she enjoys going for walks. Vaccinated, spayed, wormed, micro chipped and vet checked.